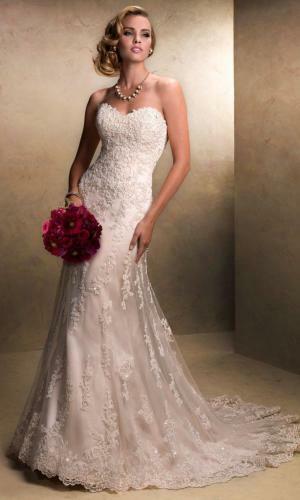 This traditional ball gown wedding dress from Stella York features lace over tulle in a soft A-line silhouette, perfect for the classic bride! The voluminous skirt feels full and flowy while remaining light-as-air as layers of tulle are adorned with delicate lace details that give off a unique effect. 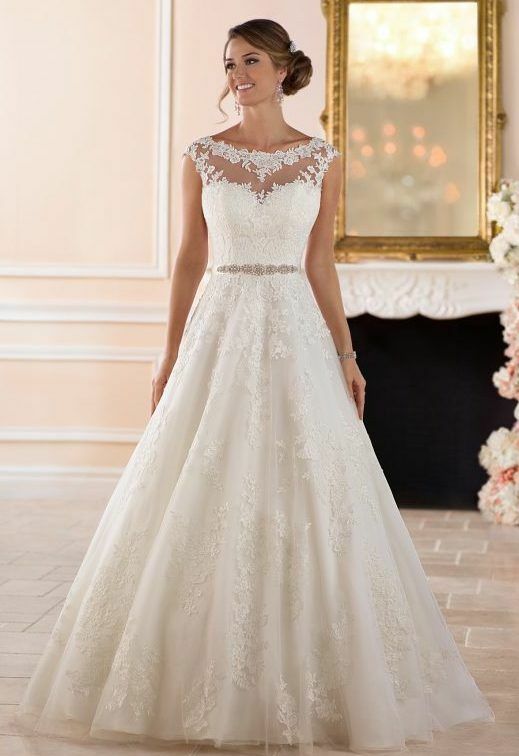 The illusion lace neckline, that highlights the blushing bride’s face, continues to the back of the ball gown where floral patterned lace creates a stunning back. Fabric covered buttons finish the back for a polished look that also complements the Diamante beaded belt that perfectly cinches at the waist.